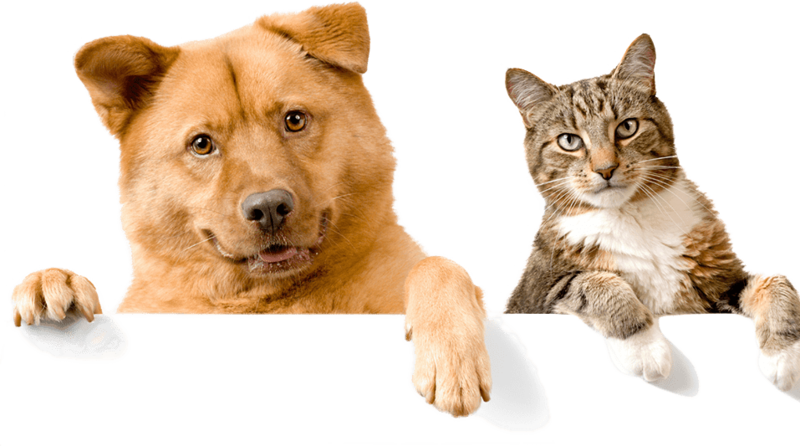 Whether you are a professional dog groomer or you're simply looking for the easiest and quickest way to dry your pet after a bath, the best dog grooming dryers will transform your life. As you may know very well, drying dogs manually is difficult, especially if you only use a towel as dogs can be uncooperative. Towels won't dry them off completely either. With a dog grooming dryer, you don't just reduce the drying time but you also ensure the coat of the dogs look fresh, shiny, and of course, healthy. There's just one problem: it's difficult to find the right dog dryer! 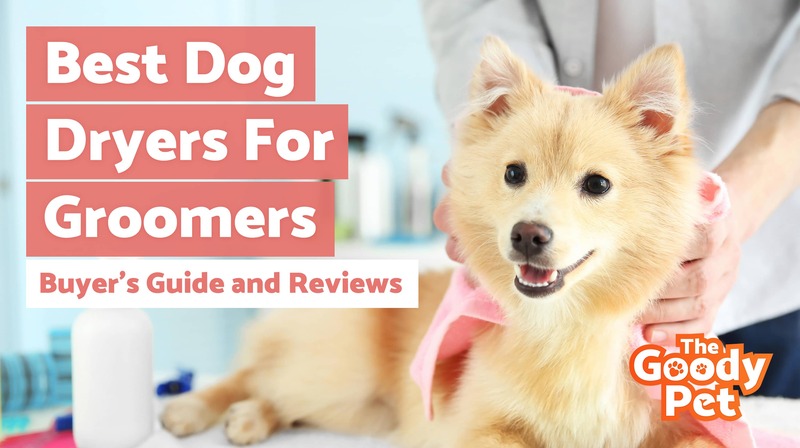 That's why we've reviewed dozens to help you find the highest quality and possibly the best dog grooming dryer that's perfect for you and your dog’s specific needs and preferences. So, without further ado, here are the best dog grooming dryers based on price, design, functionality, and Amazon rating. The highly versatile and easy to use Flying One 4.0 HP Motor Pet Grooming Dryer is our most recommended product because of its high velocity, which means it’s an incredibly powerful machine. You can expect great performance out of this dryer with heater regardless of whether you are a professional dog groomer or a pet parent. From our experience, the motor does blow air with force into a pet's coat, resulting in a significant reduction of a dog's drying time. It is safe to say that this impressive blower is heavy duty especially with its steel shell, 81 to 160 F temperature range, and long-lasting motor. It has a control panel that's laid out properly, so it offers several ways to adjust the settings. This device has temperature controls and adjustable air speed. It has interchangeable nozzles, as well as a flexible hose that's 8 ft long, making drying pets easy even with bigger breeds. Apart from being powerful, we should also praise the quality of this blower's construction. Its steel shell ensures you get the most use out of your investment and it even has a nice finish! On top of all that, we can't see any reason to dislike this beast of a blow dryer, making it the best dog grooming dryer in the market today. Another well-built and very powerful dog grooming dryer is the SHELANDY 3.2HP Force Dryer with Heater but with a more affordable price tag compared to our top pick. Its 2400W adjustable power output ensures this device does its job effectively and efficiently. What's surprising about the SHELANDY Force Dryer is its noise level which is low because it comes with four layers for noise reduction to ensure your dog remains calm while it is being dried. The package comes complete with four nozzles and a spring hose to give you freedom in creating as many shapes or styles for a dog's coat. The temperature control of this particular blower only gives you two options, but it is still the perfect choice to achieve an optimum dry. It's a device that's great in blowing away thick to thin fur. This is the best choice if you are on a budget or you just want a dryer to get started as it's under $100 but it still is powerful enough that it hastens a dog's drying time. Not just that as it also comes with the necessary accessories for dog drying. Top that with a comprehensive warranty and you get a product that is definitely hard to resist! The main highlight of this dog grooming dryer is sheer power. Under the hood, it features a two-speed system and 18.5HP motors capable of reaching 62,000 FPM. Poodles come with a coat that’s challenging to dry, but this unit can dry such hair type in 20 minutes. The body makes use of 18-gauge steel. Despite being a heavy duty unit, it's still lightweight. You'll have no problems moving this unit around. The unit comes with a 10-foot hose. This feature makes it convenient to use as there's no need to move the entire when drying certain parts of a dog. Keep in mind that because this is a powerful unit, you may have to monitor the temperature output. While it rarely gets too hot, you still want to be careful when drying smaller dogs or puppies. The best thing about this unit is its power, and that means you can finish the job a lot faster. The use of high-quality steel is also desirable as you can expect this unit to last for quite some time. One of the first things you will notice with this unit is the relatively large body to house its drying power. In most cases, you will be able to dry out a large short-haired dog faster compared to most dog dryers out there. Its overall compact design allows this dog dryer to be portable and you can use it whether in a horizontal or vertical position. It's a unit that’s friendly to users with not a lot of room to work with. It features a 6-foot hose. It's not the longest, but it should be enough to help you access those hard-to-reach places. Another thing that’s worth mentioning are the filters, which are very easy to replace. This can save you a lot of hassles. The unit's ability to work effectively despite in vertical or horizontal position is a desirable trait. Also, the replaceable filters that are easy to access are an excellent bonus. This Go Pet Club hair dryer can work for cats and dogs, which makes it a great option if you have both kinds of pets in your home. It features more of an industrial design, and it's as powerful as it looks. The unit comes with two temperature settings so you will be able to adjust it to better cater to the task at hand. It also comes with two adjustable speed settings. Perhaps the defining trait of this unit is the body. It's robust and durable, featuring a puncture resistant body and a double reinforced hose. It's an excellent option if you want something that will last for a very long time. The thing that makes the Go Pet Club very attractive is its build quality. Everything is designed to be very tough like the double reinforced hose and the puncture-resistant body. The Free Paws Pet Grooming Hair Dryer comes with a bit of style and not just raw power thanks to its black and orange color combination. The package includes five nozzles, which means you can get the job done quicker by choosing the right tool. The newest model sports a 4HP motor. It's not the most powerful in the list, but it should be enough for the average consumer. The unit comes with noise-reduction features such as a noise-assimilation sponge and noise-eliminating covers. This is a desirable feature as pet dryers tend to be noisy. The two-temperature setting is also an attractive feature. The best thing about this unit is that it comes with noise-reduction features. Running a pet dryer can be very noisy, which can be a source of inconvenience for you and your family. With a 4HP and 2-stage dual fan motor, this pet dryer can perform well for most users. It also features variable speed so you'll have better control over the airflow and noise. This also means you can be more efficient as you can adjust the setting to the optimum level to get the job done. The body is constructed of high-quality steel. You can expect this unit to take a beating and still work as intended. Also, it comes with a 12-foot cord and a 10-foot hose. The thing that separates this pet dryer is that it doesn't come with a heating element. Hence, it's an excellent choice if you are worried that you might cause burns for your beloved pet when drying. This unit is beautifully engineered that it can get the job done without the use of a heating element. This also means that it's safer to operate. B-Air Fido Max 1 is one of the few dog dryers that are officially ETL certified. Thus, it's a safe option and an excellent choice if you are not experienced when it comes to operating a pet dryer. The unit is also powerful enough that it doesn't use a heating element to dry your dog. It only uses wind power to blow out moisture and water. It can even help de-shed your dog. If you want to blow out dirt and dust from your pet's hair, then this unit can help you. This dog dryer is small and lightweight enough that you can easily carry it around. Also, it includes several nozzles to help you do a better job for whatever task you are doing. The quality that makes this unit attractive is that it’s powerful enough to dry your dog's coat without the use of a heating element. It's also ETL certified, which makes it safer to operate compared to other pet dryers. You may be wondering why there are dog grooming dryers being sold in the market when there are also human hair dryers which may or may not cost less. Of course, you can save some cash if you simply use the blow dryer you have at home! But, there's a catch. Animals, specifically dogs, have thicker fur, which requires more time and power for drying. Most hair dryers for humans are too hot to be used on dogs. If you do use them on your pets, it is likely for the dryers to burn their skin. This means you're inflicting pain onto your dog. What's more, you now have to tend to the wounds or burns of the animals and your pets are now afraid of hair dryers, possibly the whole bathing process as well. Hair dryers that are specifically made for human use are often incapable of completely drying the thick fur of dogs. Human hair dryers push air through, over, and around our sparse hair. As for dogs, they have dense fur. Some even have several layers of thick fur. This means you MUST forego the use of a human hair dryer for drying dogs. If you don’t have a dog grooming dryer, it is better to not use one at all than using your own blower. High-velocity blow dryers or force dryers made specifically for dogs don’t use internal heat. Instead, air gets heated only by sheer pressure as it goes out. This is why they are safe to be used on animals. When choosing between different dryers, you would want to make sure that you pick the one that works well and operates safely for the sake of the dogs. Keep the coat of your pet/s in mind as some dogs require dryers that move more air if they have thick, double coats, especially chows and huskies. For dogs with thin and short fur, they can be dried easily with less powerful blow dryers. Select a reliable dryer that’s great for your dog’s size. You need a dryer that’s longer if you will be drying a Great Dane compared to when drying a Chihuahua. Also, the dryer must be able to operate for hours without overheating if your dog is big. For the case of dog groomers, a heavy-duty dryer is a must-have. Buy a dryer that has adjustable airflow and heat settings. You would want to adjust the heat and air that’s pouring out from the dryer easily. You also want different settings to ensure the comfort of the dog that you are drying. If a dryer is meant to be used on several breeds of dogs, then you would want this flexibility from a model. For professional groomers: a dog grooming business needs a force dryer that can stand up to prolonged, constant use. It is, therefore, recommended for you as a professional to invest in a dryer and spend more than what a dog parent may feel the need to spend on the unit. Although being wet, cold, and shivering won’t cause illness directly, it’ll reduce a dog’s immune response similar to us humans. When this happens, it’s exposed to various illnesses. That is why you need to ensure your dog dries as quickly as possible after it is given a bath. If you’ve been a dog parent for a while, then you know a dog that’s just gotten out of the shower brings a musty smell and the odor wafts through the whole house. By drying a dog thoroughly right after its shower, you won’t be dealing with this problem. A Wet Dog Can Soak Up Carpeting And Furniture. Dogs run all over your house to look for any fabric to rub themselves into. This is a dog’s post-shower ritual. As a result, the entire house becomes damp and the moisture may even destroy expensive furniture. Dry your dog completely after a bath so that it doesn’t cause chaos inside your home. If you are a groomer, a dryer is indispensable to your work. The best one that we've found to help accelerate a dog's drying process is the Flying One 4.0 Hp Motor Pet Grooming Dryer with Heater. If you're a dog parent and you just want to test using the device, then we would suggest you go for the budget-friendly SHELANDY 3.2HP Dog Hair Force Dryer. Regardless of your choice, we are confident you'll make an informed buying decision as you're now well-versed on every single aspect of dog grooming dryers.